The federal government can assist farmers and ranchers with some of the challenges of rural living. 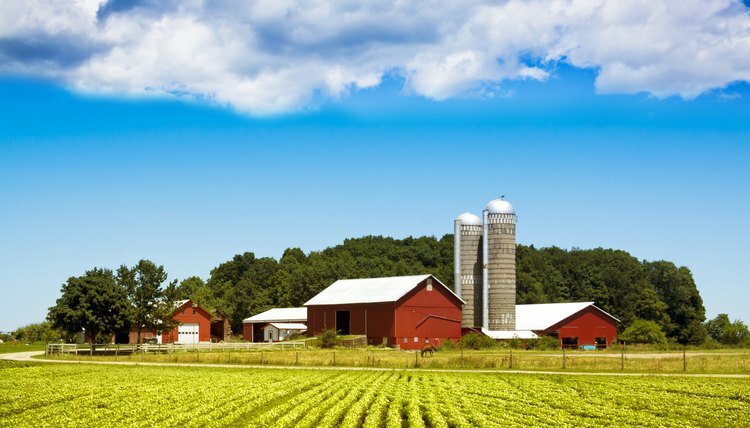 The Farmers Service Agency, a part of the U.S. Department of Agriculture (USDA), provides financing for critical aspects of their operations, such as home financing. Commonly referred to as "farmer's home loans," or FSAs, the programs have unique qualification requirement and benefits. The government may service these loans directly or they may guarantee loans made by commercial lenders. Qualifying for a farmer's home loan involves analyzing income, household size and the rural property. Research the types of farmer's loans available. The USDA offers several types of loans for farmers and ranchers, including farm ownership loans, operating loans, emergency loans, conservation loans, and land contract guarantee loans. A discussion of each can be found in the USDA booklet entitled "Your Guide to FSA Farm Loans," located on the USDA's website. Contact your state's USDA office representative and ask to be put in touch with an FSA loan officer or advisor that specializes in helping farmers and ranchers apply for direct farmer's home loans. The loan representative can discuss your loan options and help you apply for the loans if you qualify. For a guaranteed loan, contact a USDA-approved lender. The USDA maintains a list of approved and eligible lenders, which you can find on the department's website. Guaranteed loans are offered through commercial lenders and guaranteed by the FSA. In both cases, applicants must own a family farm or ranch, have sufficient training to manage its operation, demonstrate good credit and an inability to obtain credit through traditional lending sources. Complete and submit all FSA direct loan or USDA guaranteed loan paperwork to your loan representative. They can supply the application and mandatory disclosures, or you may download the application from the USDA's eForms webpage. Your loan advisor can assist you in filling out the application but you are responsible for gathering all supporting documents for the application and underwriting process. These include income taxes and pay stubs, asset documents such as bank statements and leases and rental contracts related to your farming or ranching operations. Review whether you may qualify for minority-based funding. The FSA considers women, African-Americans, Alaskan Natives, American Indians, Hispanics, Asians, Native Hawaiians and Pacific Islanders, as socially disadvantaged and eligible for Socially Disadvantaged Applicant funding. The qualifying process and loan requirements are equal for socially disadvantaged applicants and non-disadvantaged applicants. The FSA simply allocates a certain portion of funds toward certain disadvanatged groups, according to the USDA. Also, beginning farmers who would like to purchase a farm or ranch can apply for the Land Contract Guarantee Program, guaranteeing lenders against losses for up to 95 percent of the loan amount. Best, Kimberly. "How to Qualify for a Farmer's Home Loan." , https://legalbeagle.com/4840566-qualify-farmers-home-loan.html. 22 March 2017.